We’re all looking forward to reading Matthew Hancock’s new book Masters of Nothing: The Crash and how it will happen again unless we understand human nature (Biteback Publishing 2011), which was launched yesterday at 11 Downing Street. 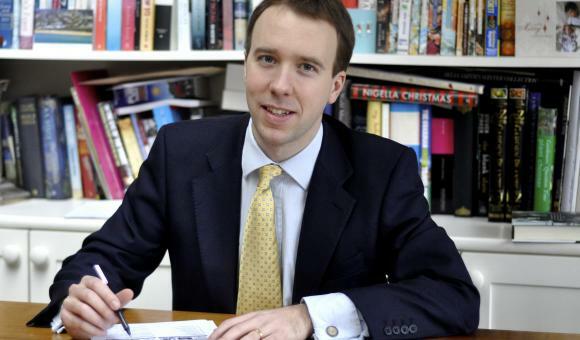 Matthew, a former Bank of England economist and George Osborne’s chief of staff (2005-2010), who is MP for West Suffolk, teamed up with Stratford-upon-Avon MP and former YouGov chief executive, Nadhim Zahawi to write the book. Amongst other things, Matthew’s refreshing ideas to prevent another global financial collapse include penalties for failure; not rewards, a ‘public protagonist’ to question investment decisions taken by boards and quotas for women in executive roles. Matthew will be speaking at our Chartwell Breakfast Club on November 15. He will discuss how policy-makers and business can foster innovation and growth with Chris Brady, Dean of BPP Business School and the BBC’s Mishal Husain moderating. See here for more information.